The Oba (Eze Ogba) of Ogbaland and the Chairman, Rivers State Council of Tradition Rulers. 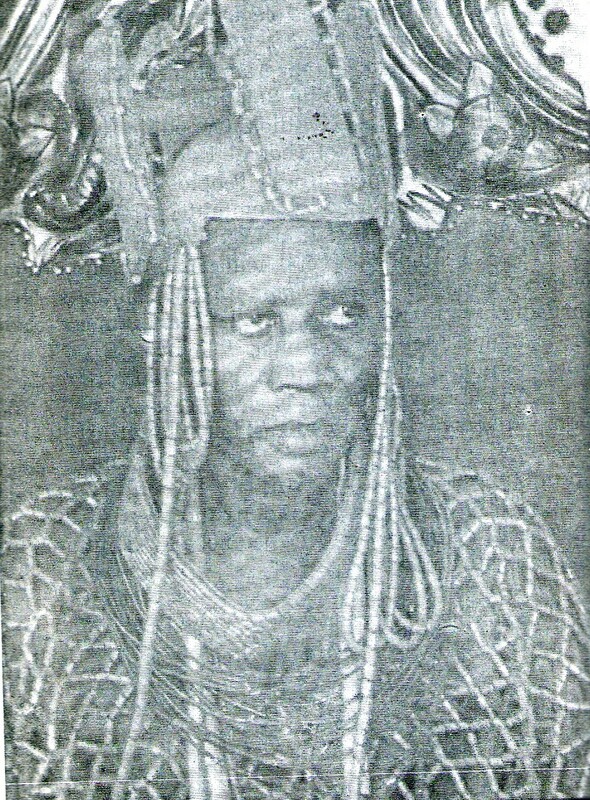 Eze Moses Igwe was crowned Eze-Ohali in 1971 after the Obigwe confrence of the Ohalis with full government recognition as a second (2nd) class chief (Eze). The Ohali sovereign conference at Obigwe that necessited the installation of Moses Igwe was attended by notable Ohalis such as Love Osi, Onyeocha Nwajel, Uche Isiodu (alias Ogba/Egbema), Wilson Okoroma and Eleanya Nwaigwe (the eldest man in Umu-ohali from Umu-Akalechi sub-lineage of the kindred). It was agreed that the Eze-Ohali should be installed at Omoku and reign from there. This therefore necessitated the siting of the Eze-Ohali stool in Omoku instead of Armah the ancestral home of the throne . (The Ogba Nation). Beginning from Yudara (alias Enyike), each Nwadei Ogbuehi handed over to his successor the following traditional symbols of kingship which have been preserved to this day: Staff of Office (Akwruigwe), Elephant Tusk (Odu), Bell (Ukela), traditional symbol (ohuo). When enyike died, Eze Ogba Wudu was installed, he is noted for his courage, initiative and ability to inluence people. Eze Odua, who succeeded Wudu was also a warrior king almost rivalling Enyike in bravery and courage. During his rule, one of the battles against Aboh occurred and he led the Enyikes to victory on all fronts. This particular battle which was fought early in the 15th Century should not be confused with the battle of early 19th century in which Okoya was beheaded. When Eze-Odua died, he was succeeded by Eze-Ocha. The latter was not a very warlike man like his predecessors but he possessed a charm and personality which made people come to him and do his will. His name translated as “white king” describes his person and his rule. In his time, there was general peace and friendship and through his chrisma the villages of Obrikom and Ebgeku emerged together and the new Usomini capital was known either as Obrikom or Egbeku. 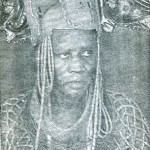 Isoma Eze who succeeded Eze Ocha carried his predecessor’s peaceful traditions one step further. He prepared a charm known as Odu-Ocha (white elephant tusk) in order to protect Enyikes from war and to preserve peace. For Odu-Ocha to remain effective, it was believed that Enyikes must refrain from mushroom and ona. To this day, these food items are still forbidden in so call pagan Enyike homes. When Odu Ellah succeeded Isoma Eze his chief concern was the preservation of the dignity of traditional rulership. Eze Ejeuku who succeeded Odu Ellah, suddenly moved to Obor to stay. Questioned why he should leave the rulership headquarters at Obrikom for the small village of Obor, he claimed that he merely went to farm whereas, infact, he had observed the trend of approaching colonialism (from the activities of the white men on the coast and explorers on the Niger) and felt that it was unsafe for royalty to remain exposed in the stategic center of Obrikom. Eze Ejeuku was succeeded by Eze Onyukwu who was soon killed through poisoning by his own relatives who had an eye on the kingship stool. Eze Onyukwu was succeeded by Oriogu Eze. After Oriogu Eze’s death, no one succeeded him immediately. In 1931, Ellah Oriogu became a “low key” Nwadei Ogbuehi. Ellah Oriogu died in 1954 and his son John Wokocha Ellah occupied the Nwadie stool from 1959. Following the chieftaincy enquiries by Rivers State Government in 1975 and 1976, he was recognised in his position in regard to the Usomini area of Ogba along with two other “kings” of Ali-Ogba. Eze Ogba Nwadei Ogbuehi, HRH Chief John Wokocha Ellah, a christain (Catholic) helped in the establishment of schools, colleges and a hospital in Ali-Ogba. He is succeeded by his son senator (sir) Francis J. Ellah as the – 13th Eze Ogba Nwadei Ogbuehi. nice history, very educative, but the site have to be up to date. the government of onelga should setup team for the website, so that the content will up dated and also entertaining and more informative. I also want the site clarify us on why there are three Eze Ogba Nwadei Ogbuehi kings now. i am confused. They should call the umu-Eriehi kindered(Ogidi & Ordu) family in Obrikom to explain this. Pls it is very important. A commendable effort. It is however incomplete. Where are the Eze Igburu and Eze Usomini stools, the incumbents of which are HRM Eze Chinedu Igwe at Egbada and HRM Eze Allen Ossoh of Obrikom? The fact of pending Government recognition does not diminish their existence nor customary significance. Please update and add them to complete the history. Thanks for the effort. The History is Good But its Nothing Compared to the The Eze Egi throne Cuz they are Doing Well for Them Self’s, We Dont Have Good Road Nothing Is Working Our Market is Falling Apart Because the Government is not Doing Anything To Help. And the Situation is Going Bad Day by day. Why did you have Eze ogba Nwadei xii without the xii? Can you tell me who was the xii? Sorry please why did you mention Eze ogba Nwadei the xiii without mentioning the xii? who was the xii? I want to believe that this information is incomplete. ONYE OBLA GBRA WHE OGBANI WOGA EKA EWO LA OWHE MA WURO EKA NKA MADU O.O..O…!!!!! Thank you very much, your point is well taken! Please send us more information about this two royal fathers.